Wesleyan University closed out its most successful fundraising campaign ever on June 30 with $482 million raised, far surpassing the original goal of $400 million. The biggest share, $274 million, went to financial aid, making a Wesleyan education possible for motivated and talented students who could not otherwise afford to attend. 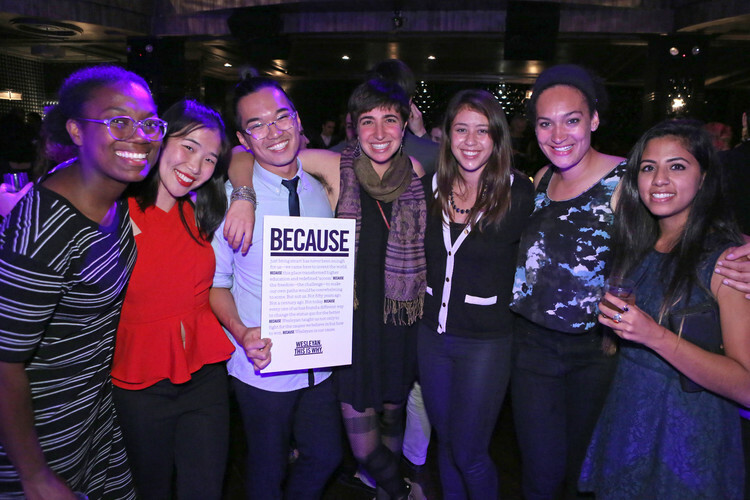 More than 36,000 donors gave to the THIS IS WHY campaign. 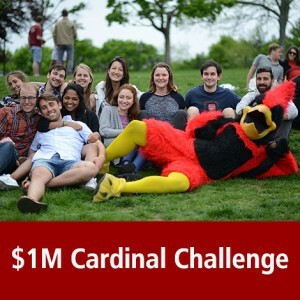 In June 2016, the Cardinal community joined together to secure $1 million for financial aid by participating in the $1 Million Cardinal Challenge. All funds raised were contributed to the THIS IS WHY campaign. Not only was the THIS IS WHY campaign the most successful in Wesleyan’s history, but this past fiscal year was Wesleyan’s biggest fundraising year ever with $79 million raised in gifts and pledges. In the month of June alone, Wesleyan received 3,400 gifts, spurred by the $1 Million Cardinal Challenge. John Usdan ’80, P’15, ’18, ’18 donated $500 for every gift made during this challenge. In the last five days of the campaign, donors stepped up with $30 million in new pledges. The campaign could hardly have started at a more inauspicious time, just before the financial markets collapsed at the start of the Great Recession in late 2007. Yet the Wesleyan community banded together to make a Wesleyan education their cause, with nearly 80 percent of alumni donating to the campaign. Wesleyan parents also donated $51 million. “I am overwhelmed by the generosity of the extended Wesleyan family during the course of the THIS IS WHY fundraising campaign,” said President Michael Roth ’78. “In traveling around the world and speaking to alumni and parents about why they choose to make a Wesleyan education their cause, I have been so impressed by the loyalty and ambition of this community. The loyalty comes from a sense of belonging to an institution that decisively affected one’s life, and the ambition comes from the desire to see that institution continue to grow and provide to others a liberal education characterized by boldness, rigor and practical idealism. The three goals of the campaign were to increase funding for access, inquiry and impact. Of the funds raised, $286 million went to the endowment, to ensure future financial stability, while $196 million went to current use. The more than $274 million raised for access included the creation of 152 new endowed scholarships. About half of all students at Wesleyan receive financial aid. The two other focal points of the campaign were inquiry—more than $145 million in new resources to recruit and retain the most talented faculty—and impact—more than $61 million to advance students’ opportunities to deepen their learning through the creative interaction of scholarship and engagement with their community. 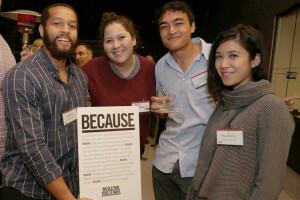 Highlights include the launch of four new interdisciplinary colleges—in the areas of film, East Asian studies, environmental studies, and integrative sciences—as well as the Center for Pedagogical Innovation, and endowment support for the Patricelli Center for Social Entrepreneurship, the Shapiro Center for Creative Writing, Center for the Humanities, the Gordon Career Center, and the renovation of Boger Hall. At a gala in Grand Central Terminal in New York City on June 16 to celebrate the success of the campaign, President Roth recognized the campaign leaders, including Campaign Chair and Trustee Emeritus John Usdan; Joshua Boger ’73, P’06, ’09, newly-retired chair of the Wesleyan Board of Trustees; Ellen Jewett ’81 P’17, trustee emerita; Alan Dachs ’70, Hon. ’07, P ’98, chair emeritus of the Board; and Donna Morea ’76, P ’06, chair of the Board—and thanked the entire Wesleyan community for its support. He also credited Vice President for University Relations Barbara-Jan Wilson and her team for their work throughout the THIS IS WHY campaign.